And that’s a common response from non-fans, not just of horror but of speculative fiction in general. People who are on the outside of this genre tend to look in and see only a stereotypical surface: swords and wizards and weird humanoid species who make weird oaths with the names of oddly named gods for fantasy; funny costumes, silly effects, and incomprehensible in-universe technical jargon for sci-fi; and of course, people screaming and dying in gross ways for horror. And to be fair, a lot of these stereotypes do have examples in the genres that are just that, especially the slasher genre for horror. Whether they emerged as a result of the stereotypes or they were the influence that created the stereotypes, I’m not sure. But, as any fan can attest to, any one of these genres can delve deep into very complex ideas and themes. And that includes horror, which is what I’ll be focusing on in this post (sorry sci-fi and fantasy. I love you, but you’re not my normal bailiwick). In fact, horror does this quite a bit, it’s just usually more subtext than overt. The reason behind this, obviously, is because horror’s main purpose is to scare, so having exploration of ideas take the forefront of the story over the actual scares and plot actually takes away from the latter, which causes the story as a whole to suffer. In novels, you can sometimes devote a few paragraphs or even a couple pages to that, but it still cannot be the main component of the story. And because it’s often more subtext, the heavy bits are often overlooked by non-fans and even some fans, who are more likely to focus on how scary/creepy/unnerving the story was. This happens especially in movies and TV shows, which as visual mediums are very good at conveying the scare with their subtext. A text full of great subtext. However, even if it’s not obvious, the heavy themes and ideas are still present in the story if you look for them. A good example would be Dracula by Bram Stoker: on the surface, you have a Gothic vampire story. But go a little deeper, you see a commentary and criticism on Victorian ideas and fears. Dracula himself can be seen as a sort of twisted Jesus Christ, offering immortality through the drinking of his blood and the taking of the blood of others; the vampires themselves can be interpreted as corrupting sexuality turning good people, particularly women, into carnal monsters; and the vampires coming to England as a nod to English xenophobia, with Dracula and his kind, who speak and act strangely and must sleep in the soil of their native lands, representing the influx of foreigners to England during the later Victorian era and how they may not be suited to English society, according to some Victorians. A story that’s more than just scares. And this can be found throughout horror stories, particularly in novels where there is room to explore these heavy themes. A lot of times, you can see these themes embodied in some way in the supernatural forces that may threaten the character(s). Stephen King does this very well in many of his stories: while explicitly stated that the events of The Shining are supernatural in origin, on another level it’s a great story of a family breaking down due to stress, isolation, alcoholism, and old tensions arising, with the hotel simply being a stage for things to play out rather than a true supernatural entity. Likewise, It is a story about a supernatural force, but that same force is also a representation of childhood fears, what we fear in the dark as well as fear of growing up. And that’s just the tip of the iceberg of this great novel. You also see this in movies, with a great example being The Babadook. While the titular monster could be real, it could also be a form of shared delusion between a mother and her son, trying to work through their individual and collective issues. There are a number of articles that look at the film from a psychological perspective, and the arguments they make put the story in a whole new light from first viewing. 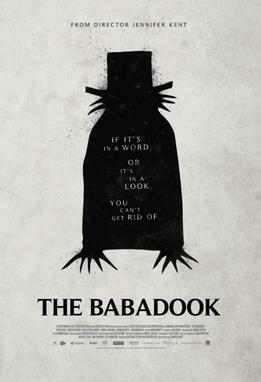 The Babadook is a story laced with deeper meaning, if you just look beyond the surface. So as we can see, horror is more than just people screaming and dying in gruesome ways. Like any story, it can have a deeper meaning, going into the psychology of characters, the beliefs of society, philosophies on life, death, love and so much more. You just have to pull back a veil and take a closer look, and you’ll see what’s always been there.